HMBHi Tec HMB - 200 kaps. Super-strong anti-catabolic in the form of a 100% strength acid β-hydroxy-methyl-β. Highest quality at a good price behavior! It also supports the immune system and the digestive system! Hi Tec HMB - 400 kaps. Hi Tec HMß from the viewpoint of biochemistry is a derivative of an amino acid present in small amounts in the diet. 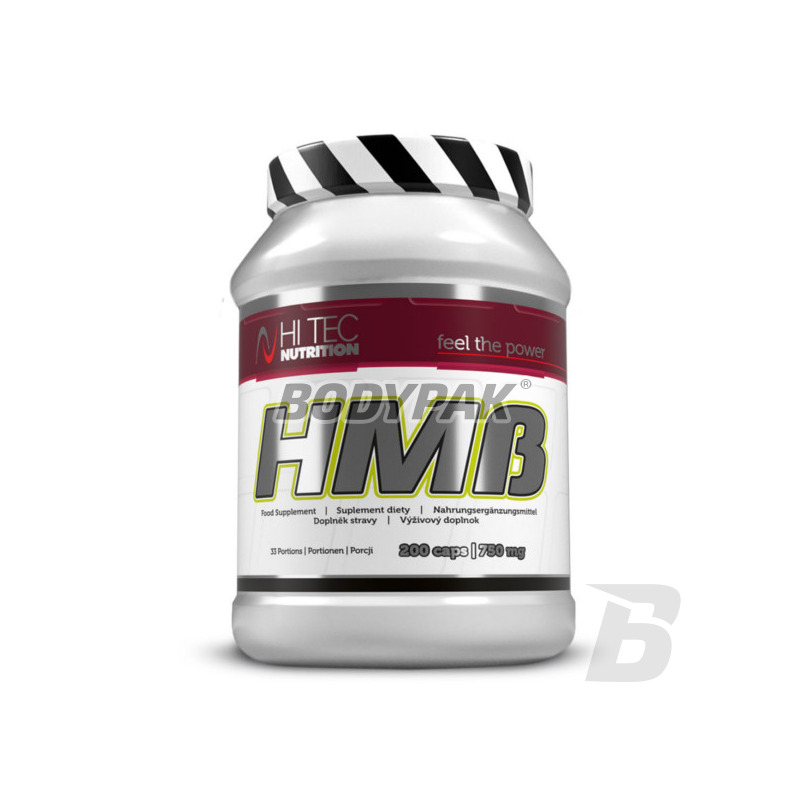 HMß body can be prepared from the amino acid L-leucine. Supplement designed for athletes and persons burdened with physical effort. HMß strengthens the immune system and lowers cholesterol. During intense training HMß prevents muscle damage, minimizes the reduction of protein and helps to repair muscle tissue. 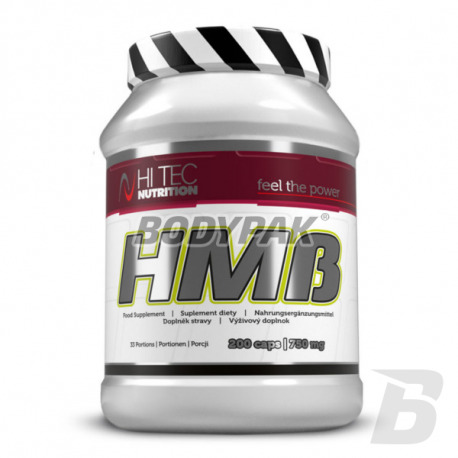 Effectively helps increase strength and muscle mass while reducing body fat. HMß exhibits strong anabolic properties, so it can become a real alternative to illicit doping. Full coverage of the HMß-builder weighing 100 kg exceed 10g per day, even when the diet is rich in proteins have only 5g. Further tests suggest that HMß greatly improves the efficiency of protein consumed. As previously demonstrated, the protein intake of around 400g a day can expect large increases in muscle mass. Supplementation HMß about 3g a day you can achieve similar results already at the intake of 200g of protein per day. Składniki: β-hydroksy β-metylomaślan wapnia (Ca-HMβ) (82%); kapsułka [składnik otoczki (żelatyna wołowa), barwnik (dwutlenek tytanu)]; substancja przeciwzbrylająca (sole magnezowe kwasów tłuszczowych). Dobra cena, solidny skład - nic dodać, nic ująć.